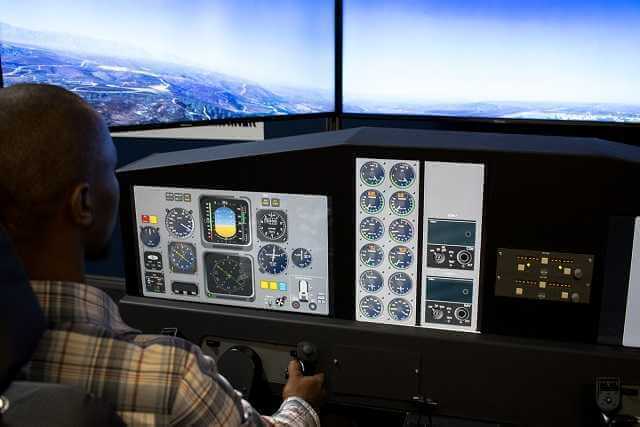 The Fixed Wing Flight Trainer (FWFT) is a pre-production flight trainer developed for CAD and the CSIR. 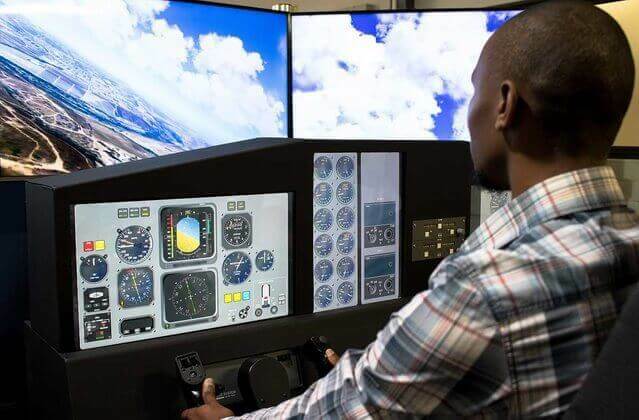 The Simulator provides a safe, cost effective solution to train pilots in a realistic and controlled environment. Cybicom (together with the CSIR) was primarily responsible for the development of the simulation system using PRESAGIS modelling and simulation software and VAPS XT interactive graphical interfaces. 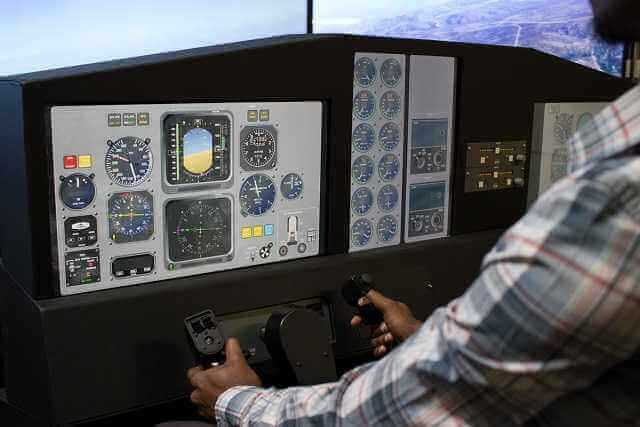 Vega Prime was used to develop an IG running on three large TV monitors to provide an out of cockpit view suitable for the training of pilots of twin-engine turbo-prop aircraft. Control software was developed to utilise the COTS flight controls and to drive the virtual instrumentation developed with VAPS XT.